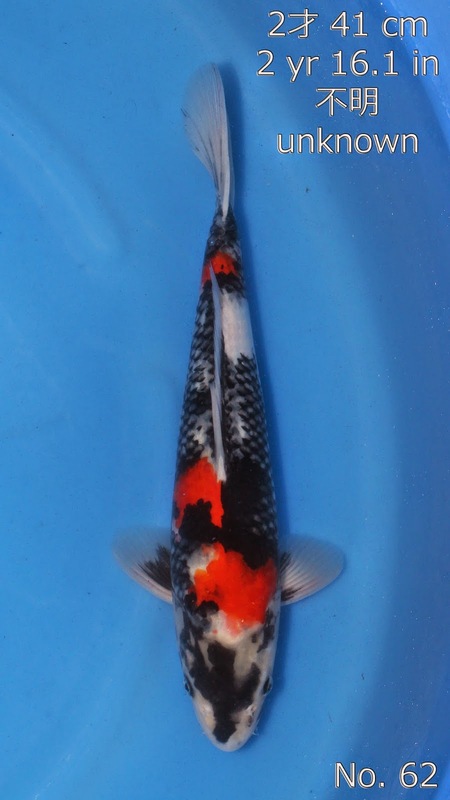 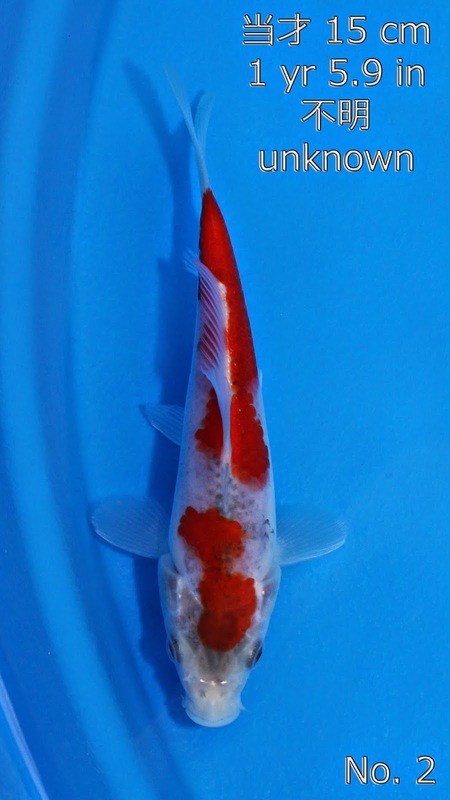 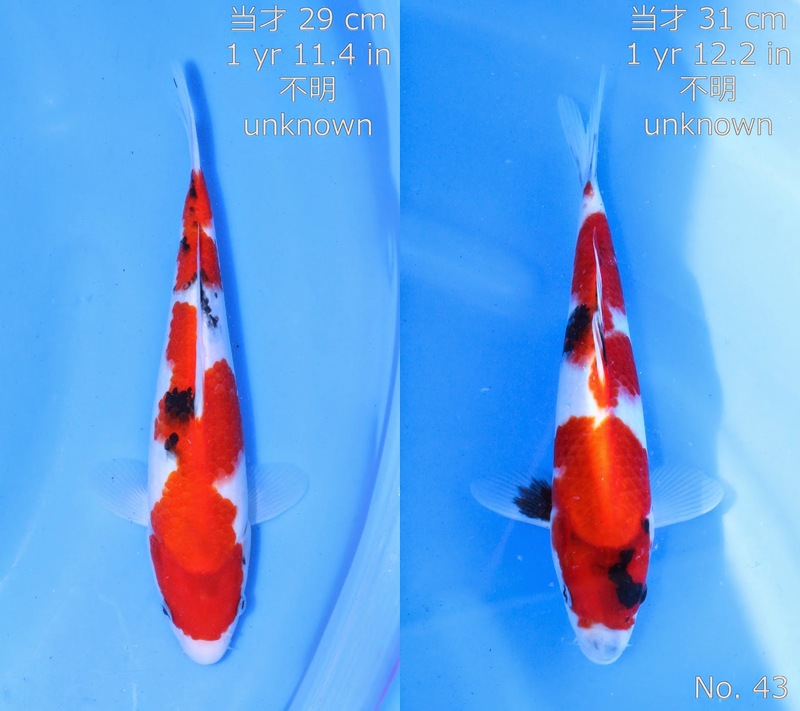 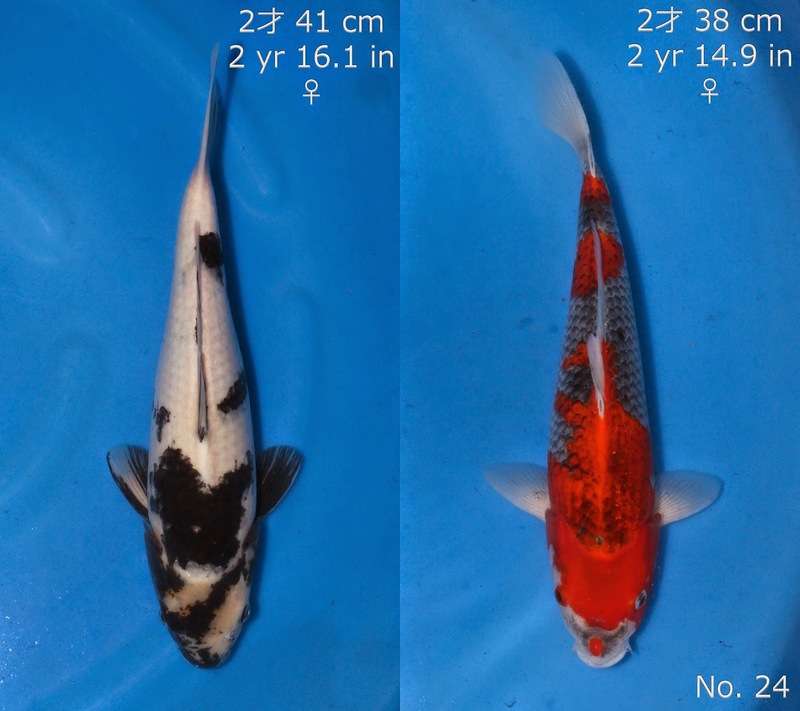 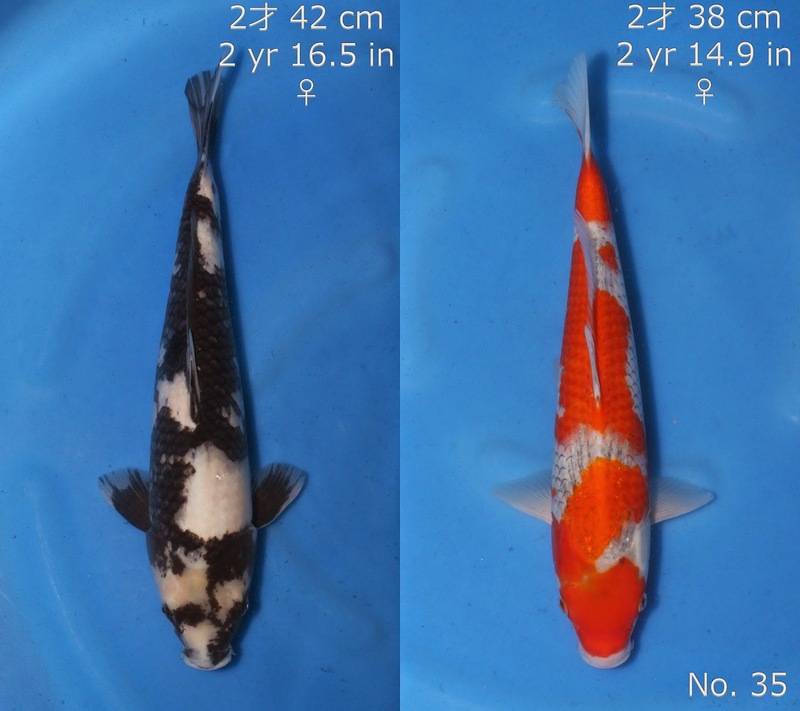 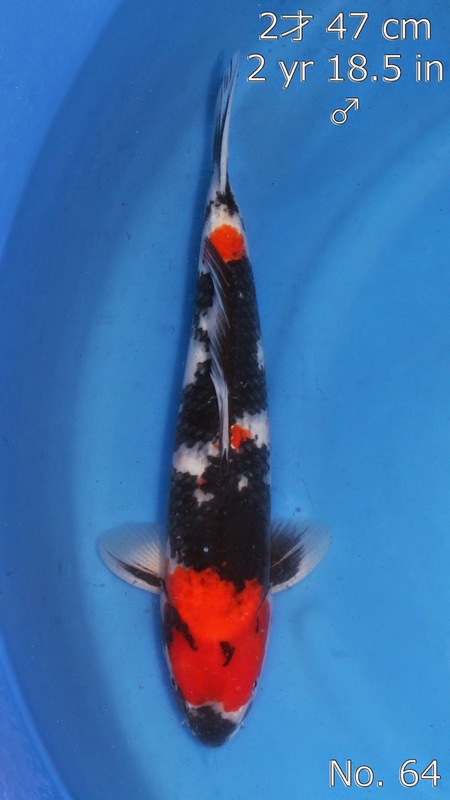 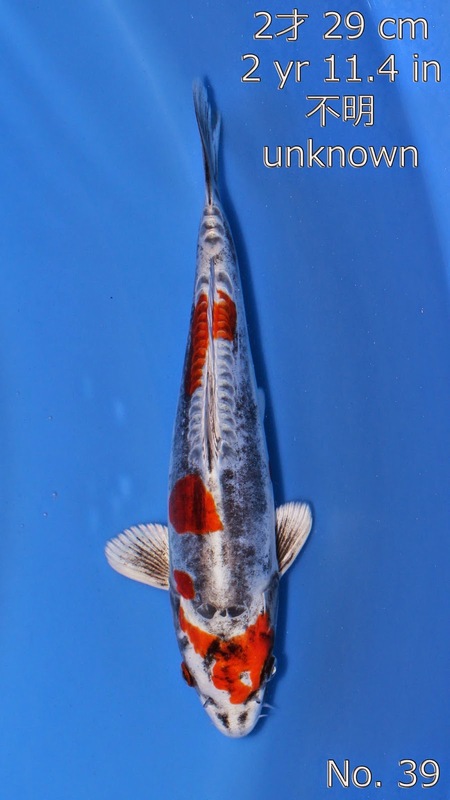 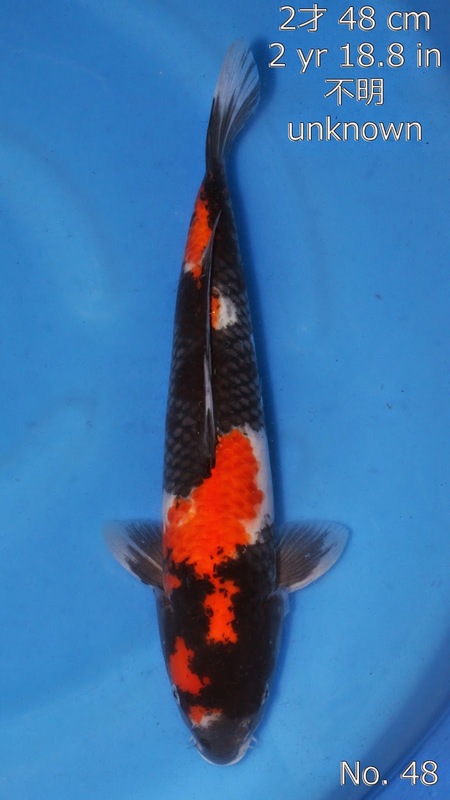 Auction entries for the 2015 Open House Koi Auction on Saturday May 9th set to kick off at 3 PM. 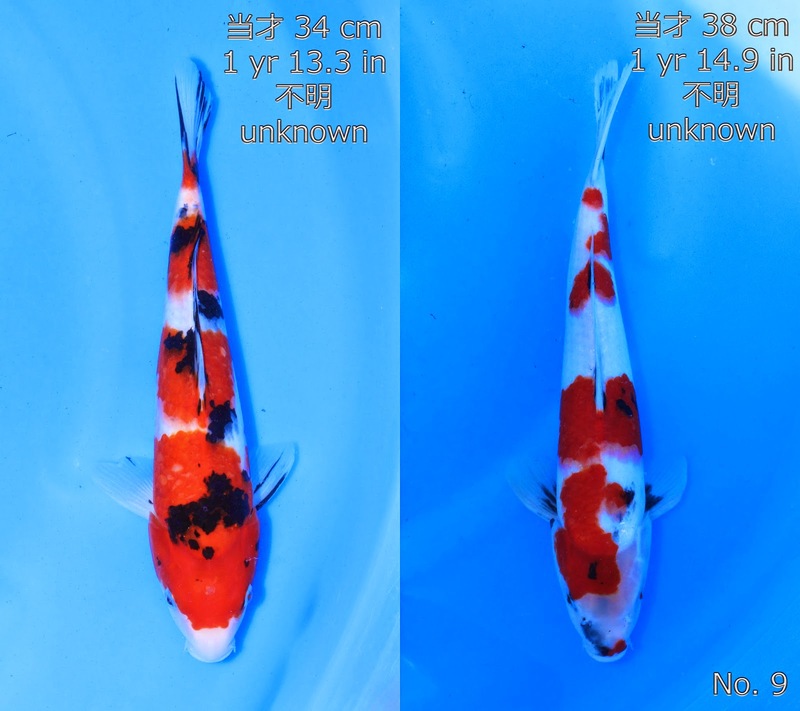 If you are unable to attend the auction, but would like to place a bid send Devin a message at devin@koiacres.com by 10:00 AM on the 9th. 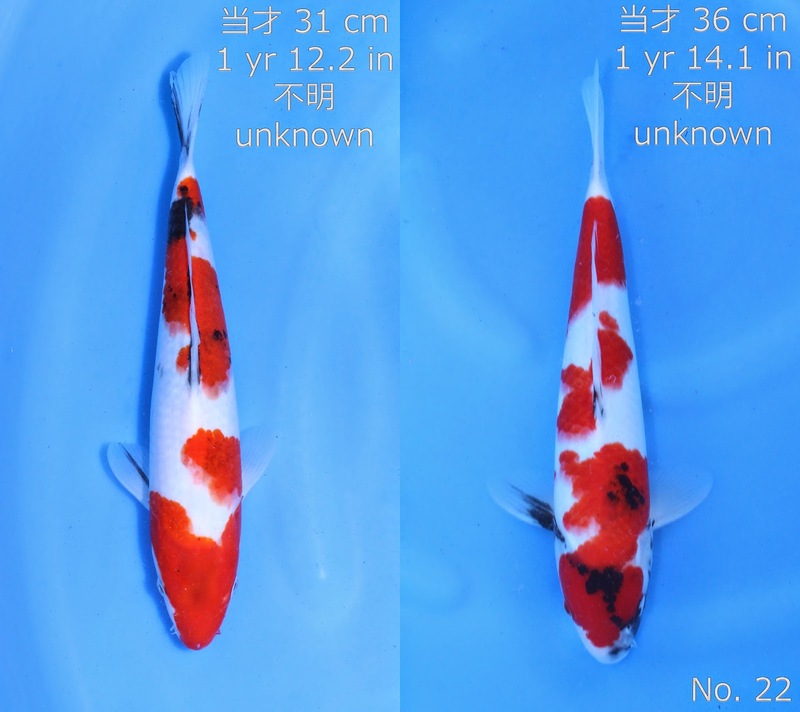 Please include the Koi number as well as your maximum bid so we can arrange a proxy bidder on your behalf. 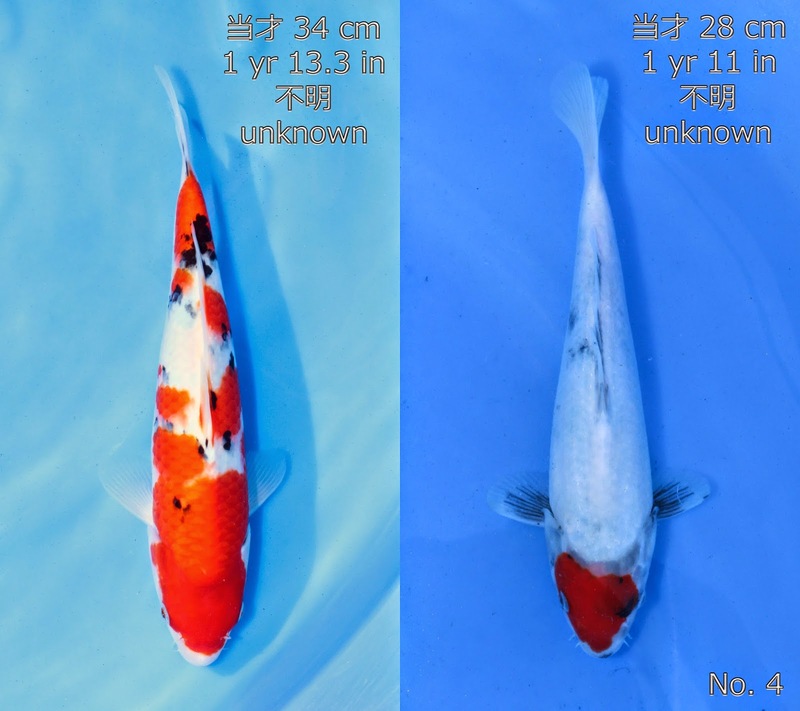 For those able to attend our auction, a printable catalog of all the Koi entries is available here. 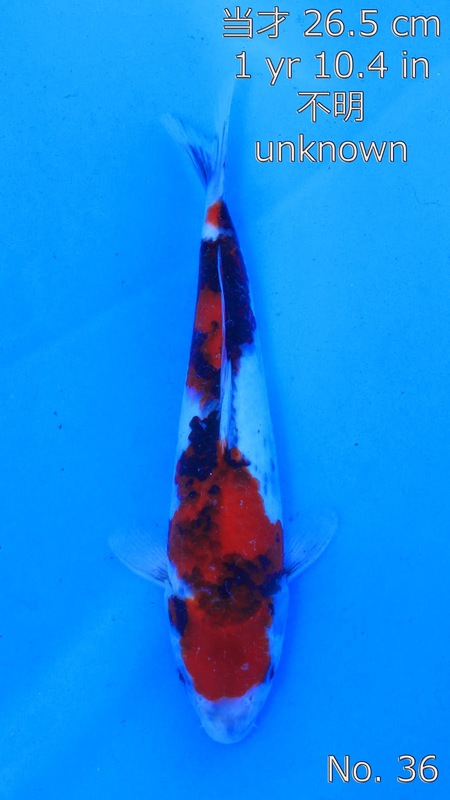 Asagi bred by Marusaka Koi Farm. 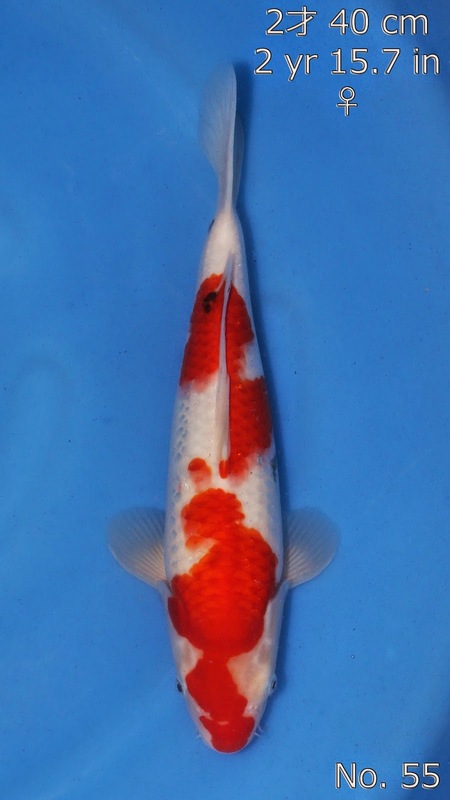 Goshiki bred by Kanno Koi Farm. 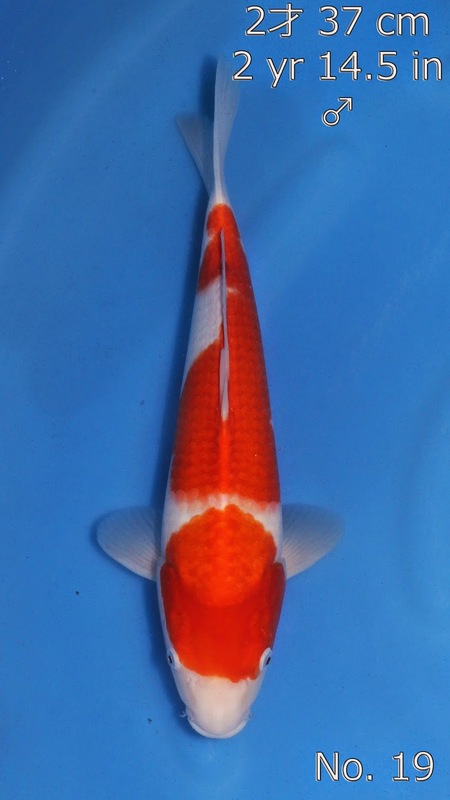 Yamabuki Ogon bred by Marudo Koi Farm. 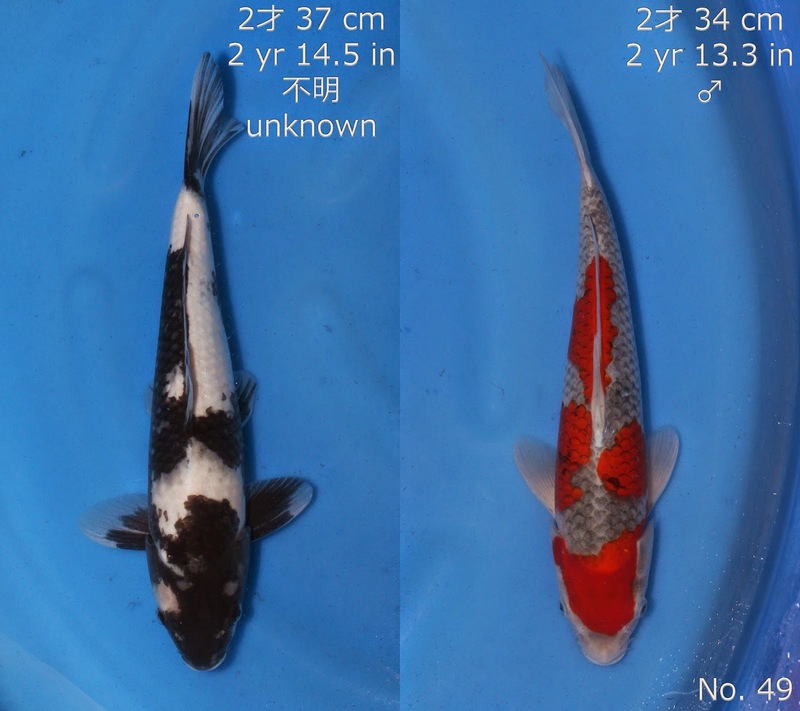 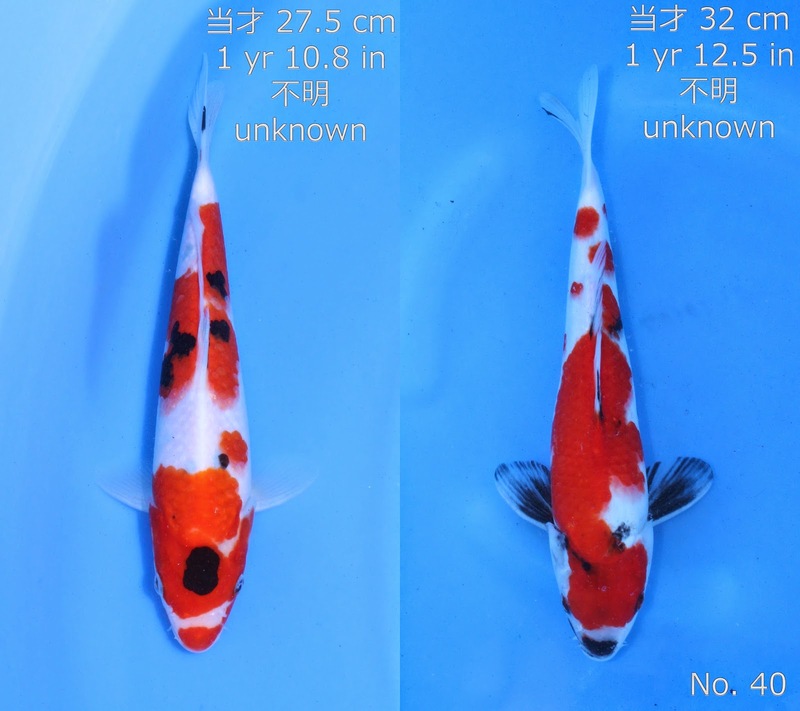 Sanke & Tancho Showa bred by Marudo Koi Farm. 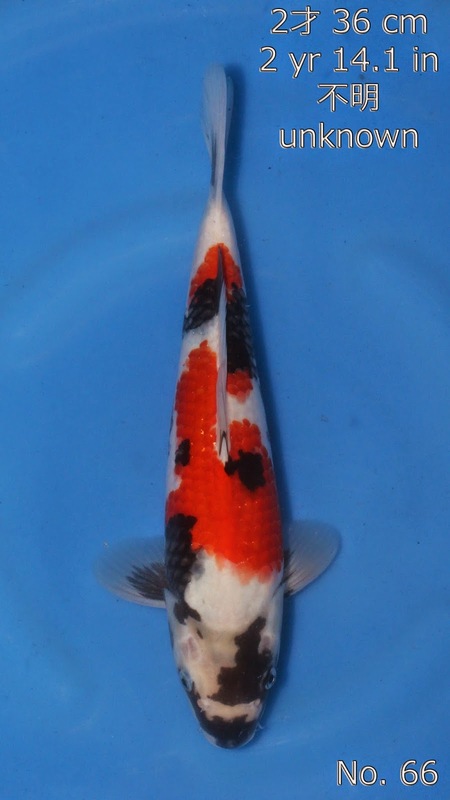 Kohaku bred by Purdin Koi Farm. 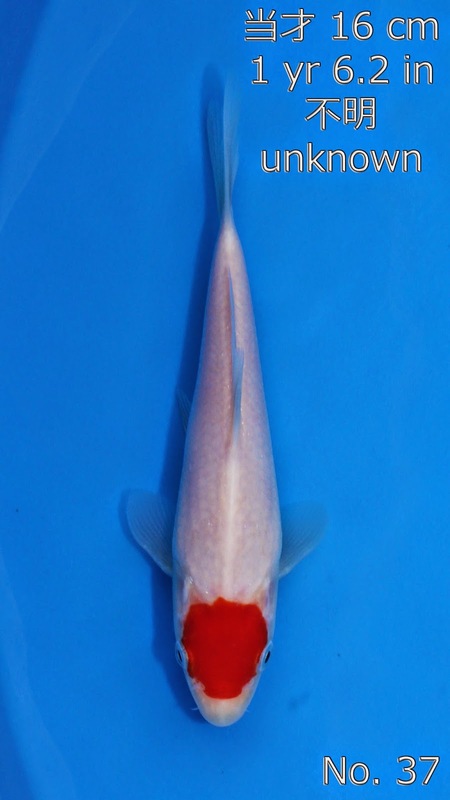 Karashigoi bred by Marudo Koi Farm. 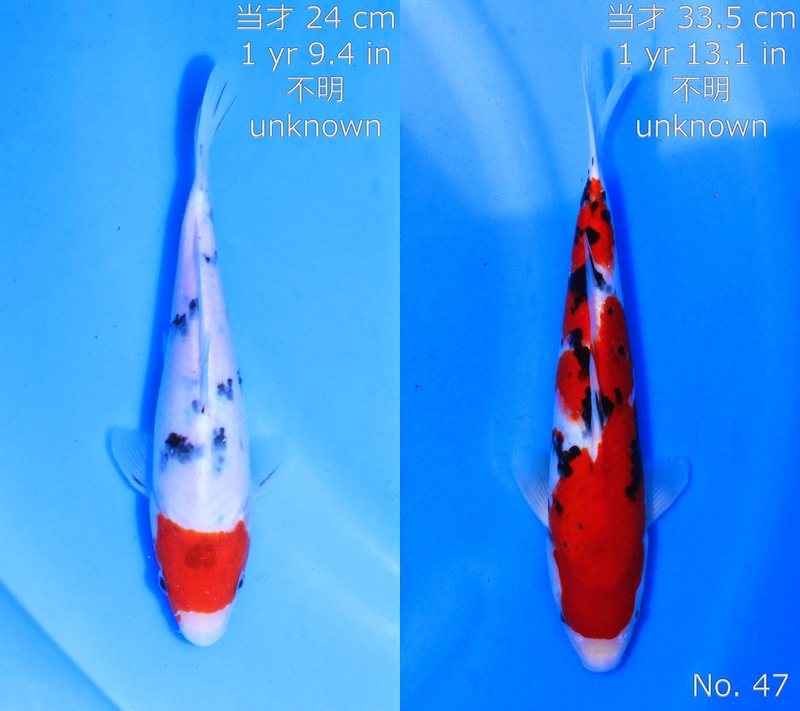 Hariwake bred by Marusaka Koi Farm. 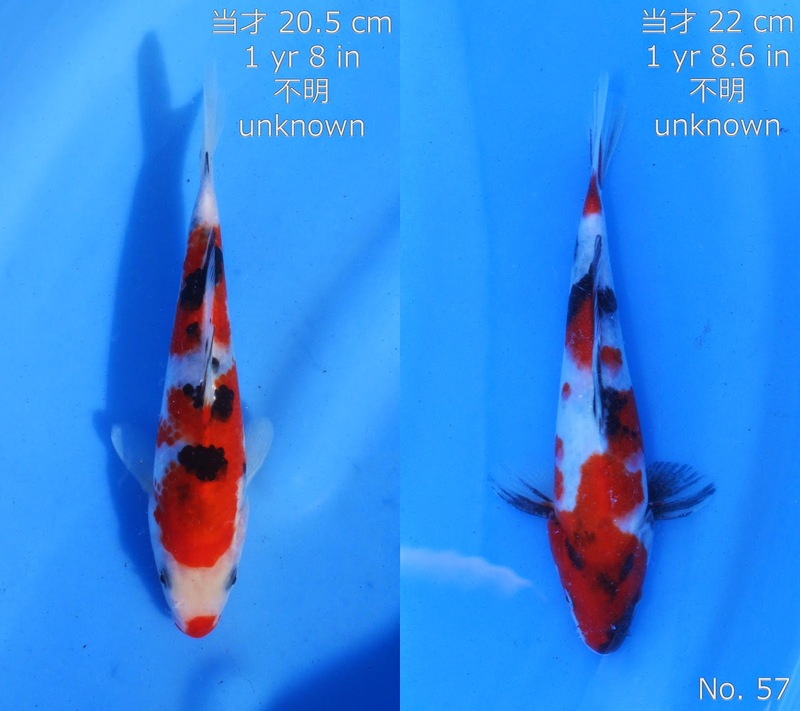 Shusui bred by Koda Koi Farm. 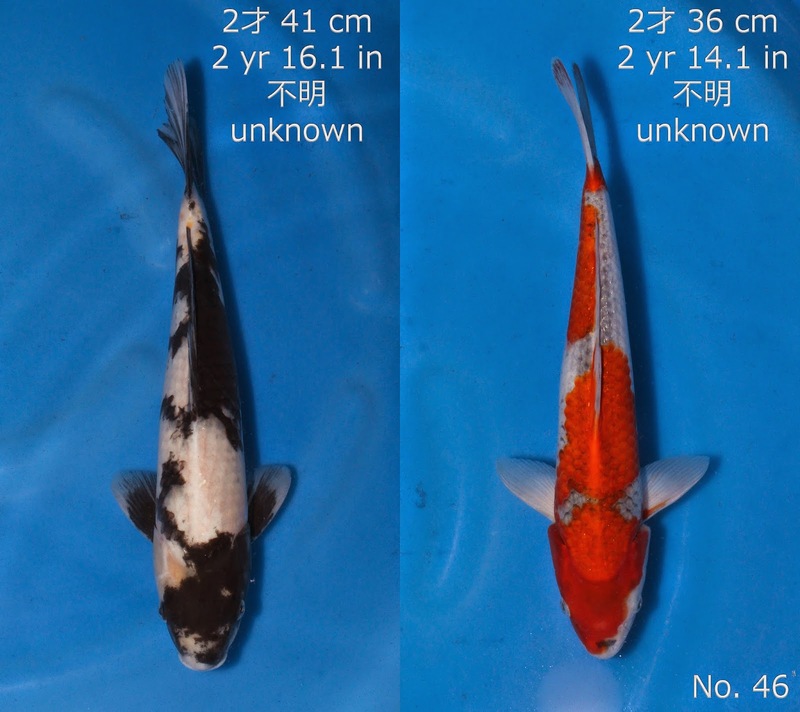 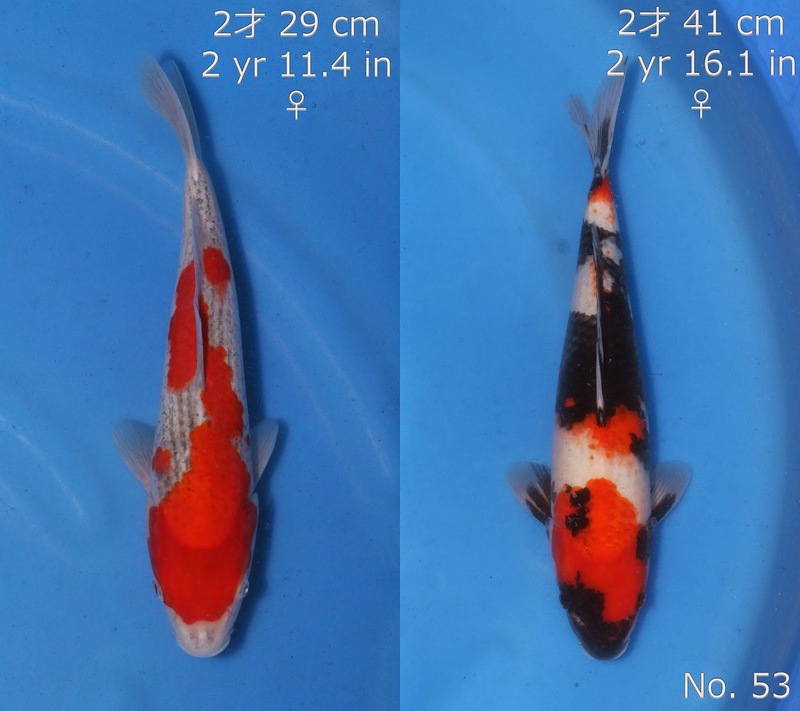 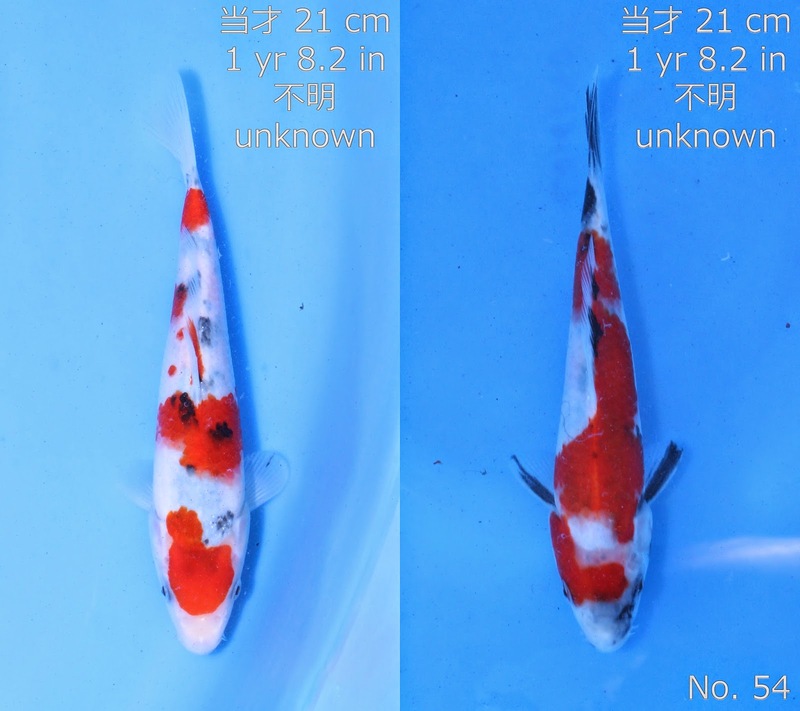 Sanke & Showa bred by Marudo Koi Farm. 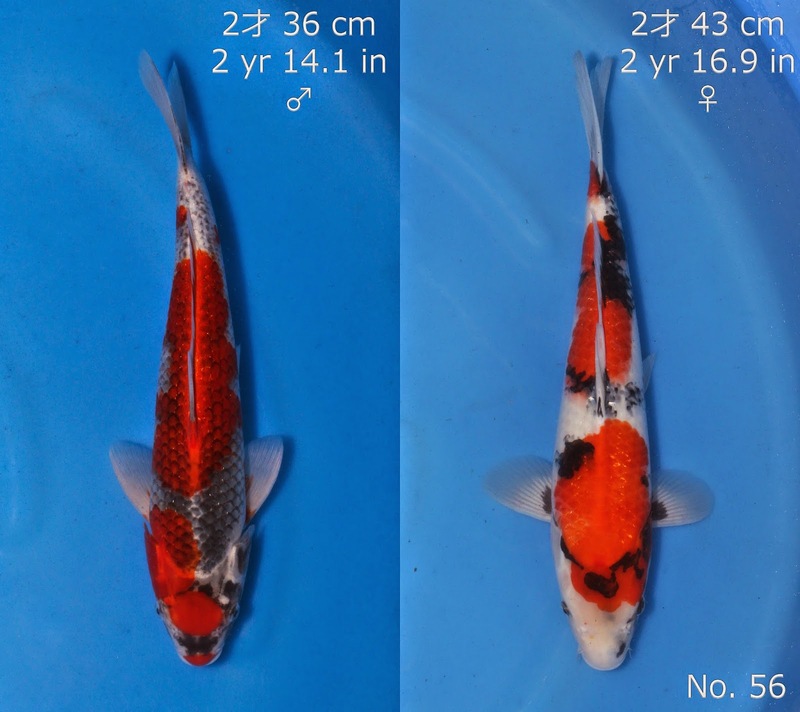 Sanke bred by Beppu Fish Farm. 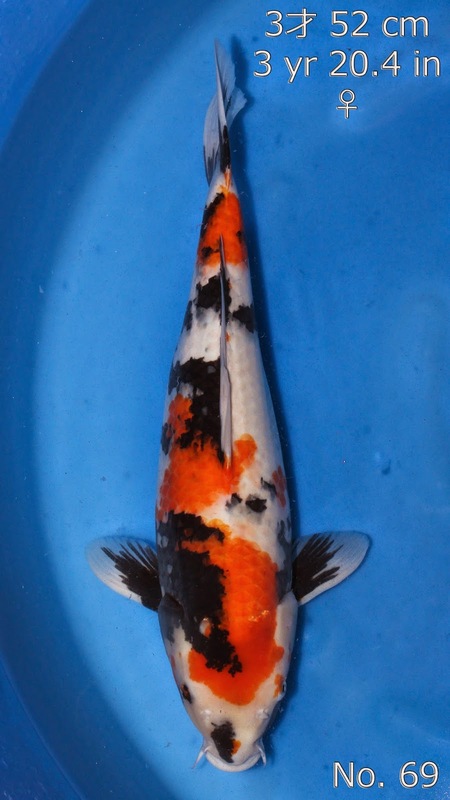 Ochiba bred by Koda Koi Farm. 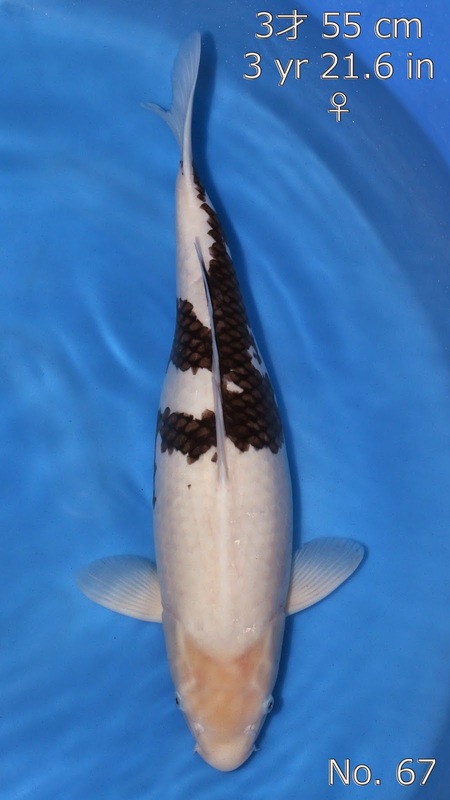 Doitsu Kohaku bred by Marusaka Koi Farm. 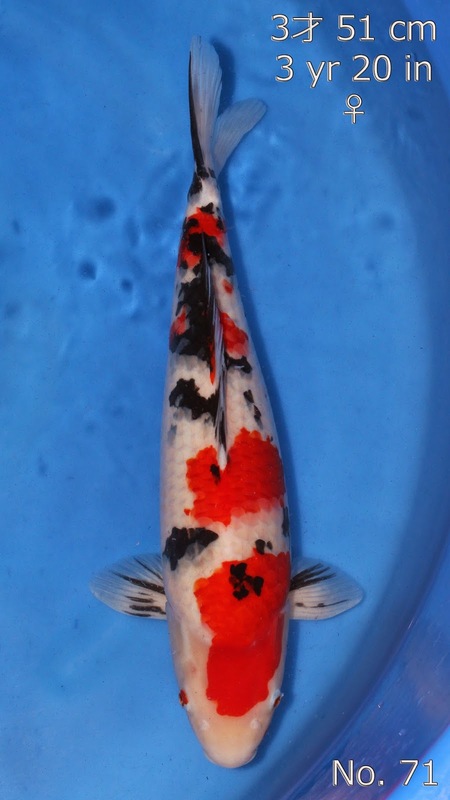 Shiro Utsuri bred by Omosako Koi Farm. 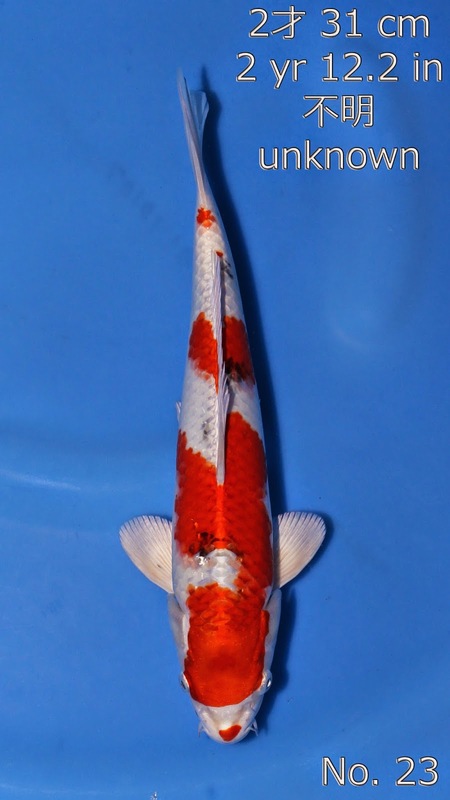 Showa bred by Omosako Koi Farm. 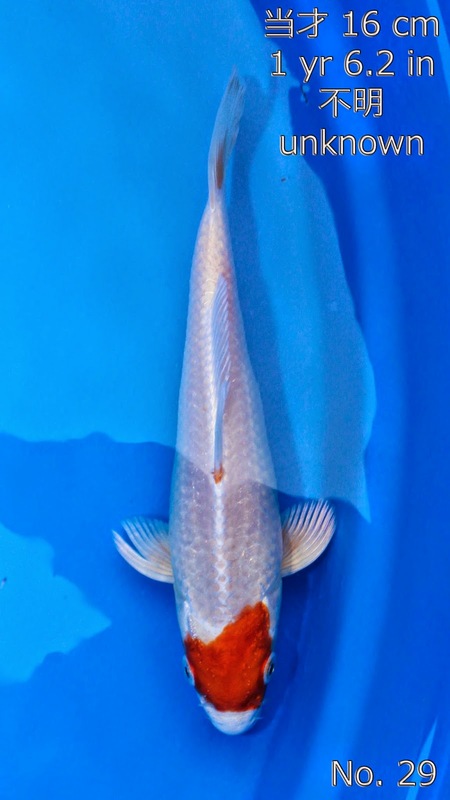 Platinum Ogon bred by Marudo Koi Farm. 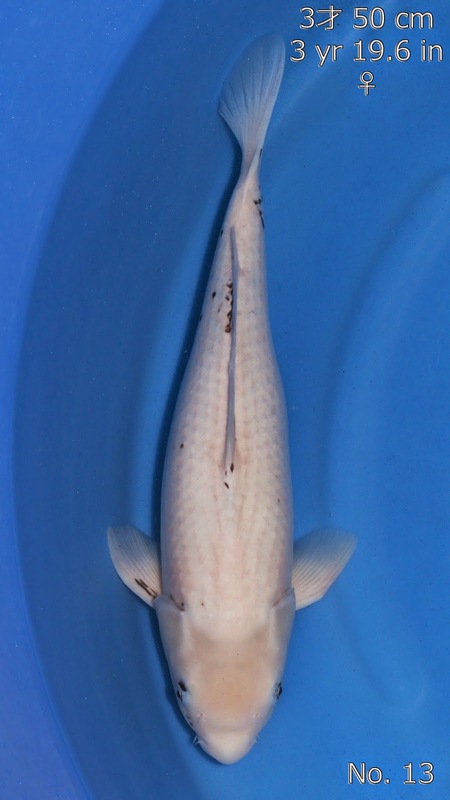 Kikusui bred by Koda Koi Farm. 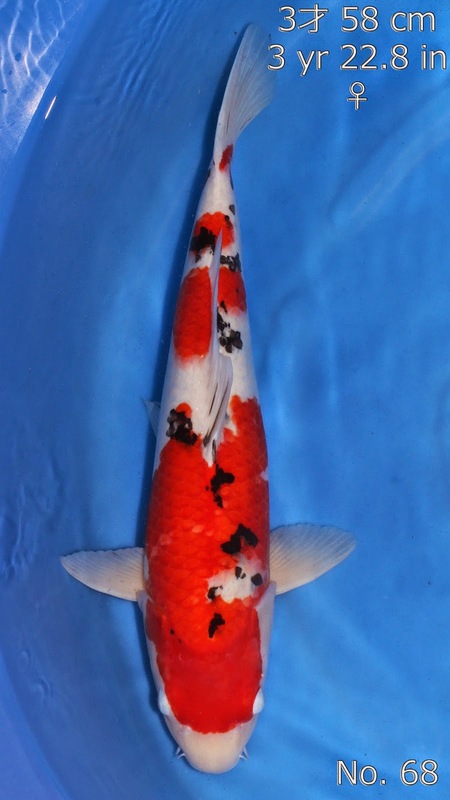 Sanke bred by Marudo Koi Farm. 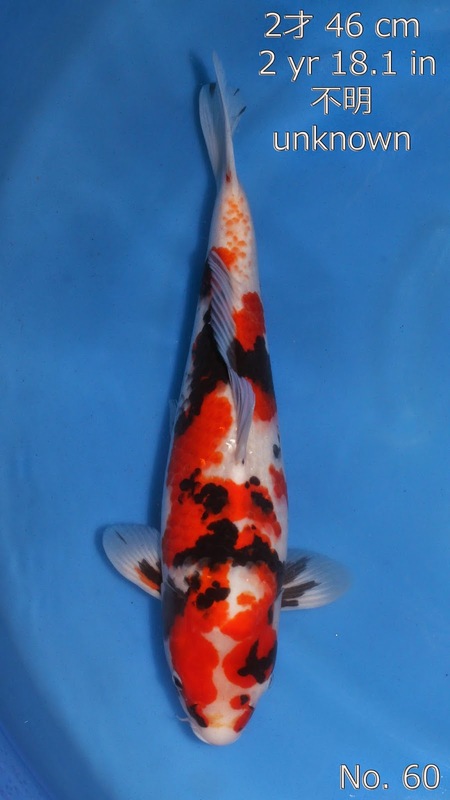 Kohaku bred by Marudo Koi Farm. 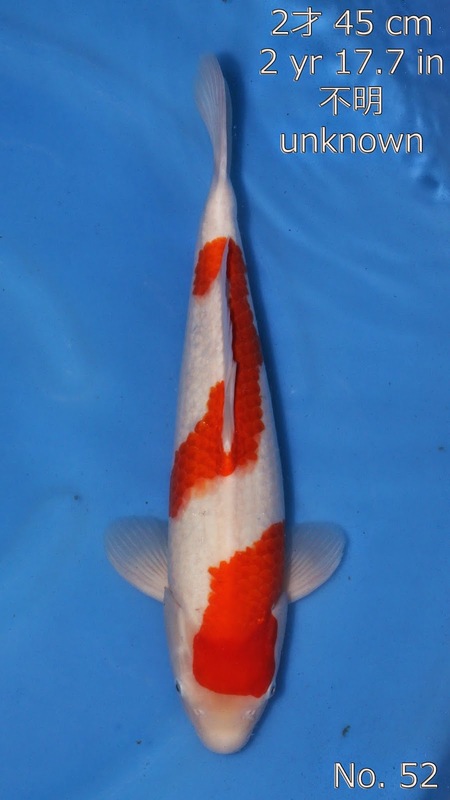 Tancho Sanke bred by Marudo Koi Farm. 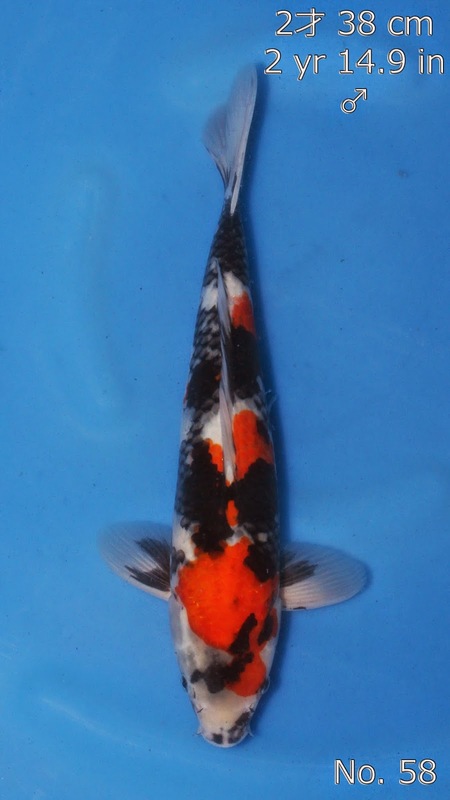 Yamato Nishiki bred by Marusaka Koi Farm. 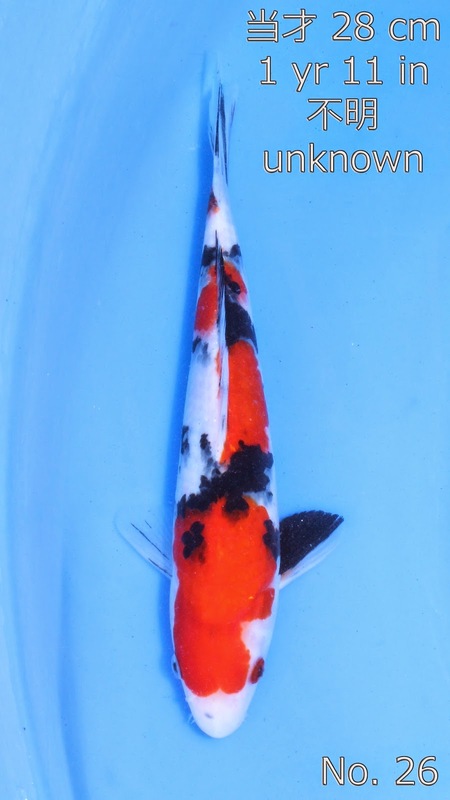 Shiro Utsuri bred by Omosako Koi Farm. 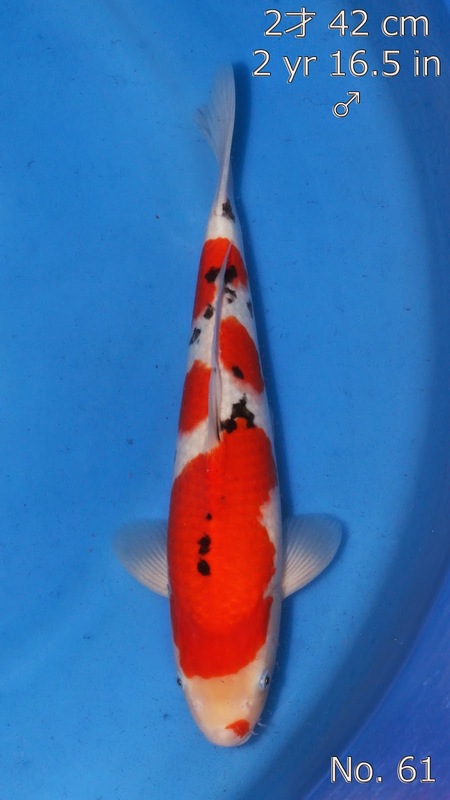 Goshiki bred by Kanno Koi Farm. 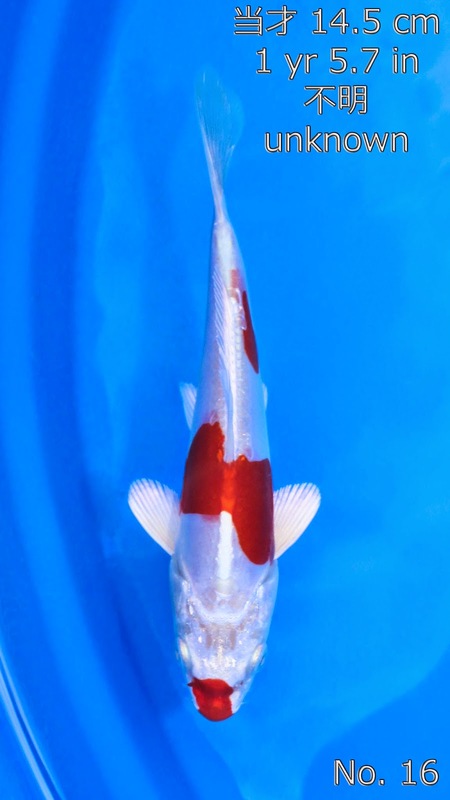 Gin Matsuba bred by Marudo Koi Farm. 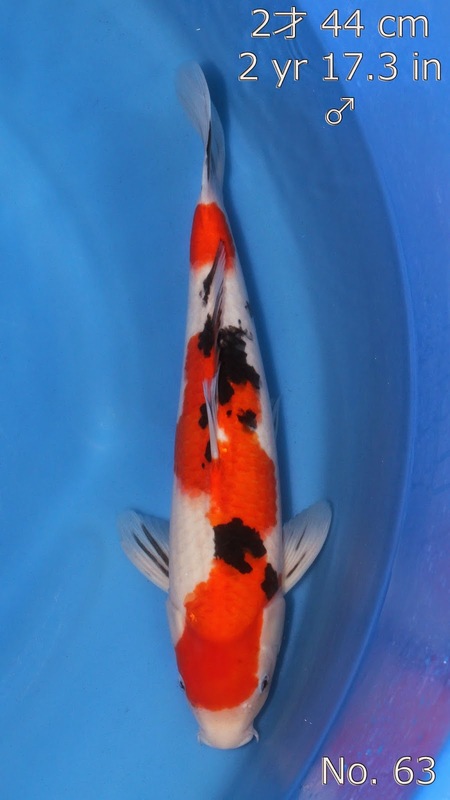 Doitsu Shiro Utsuri bred by Maruhide Koi Farm. 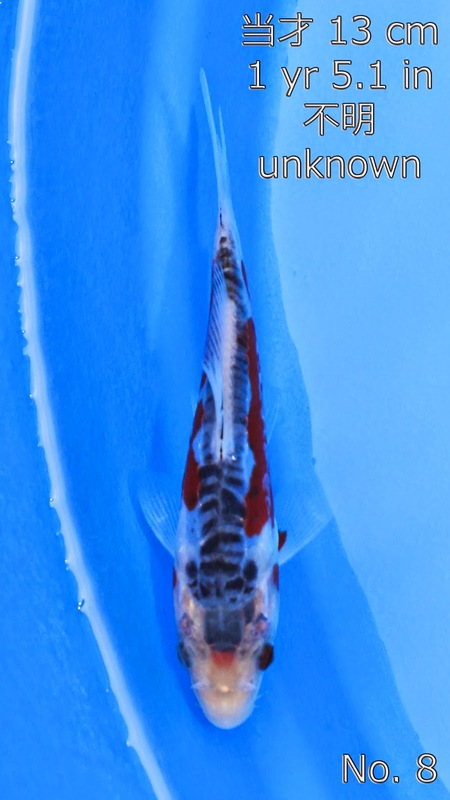 Sakura Ogon bred by Marusaka Koi Farm. 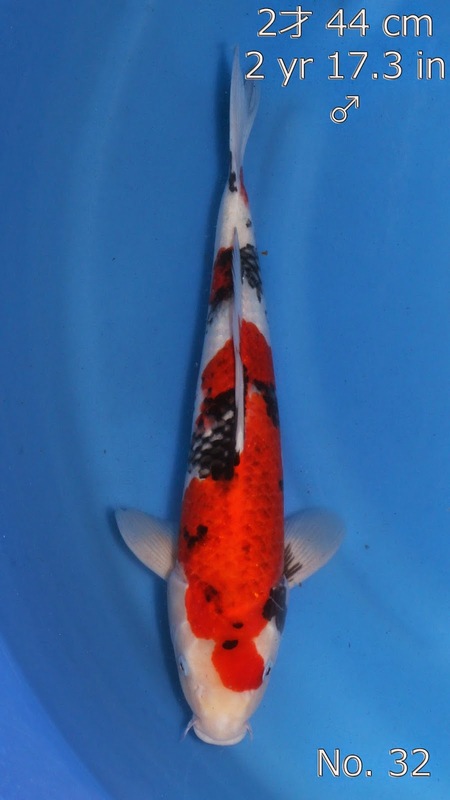 Kujaku bred by Marudo Koi Farm. 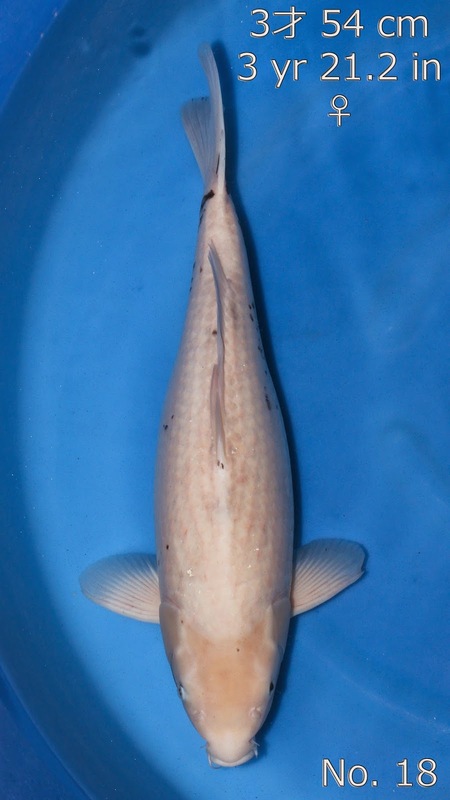 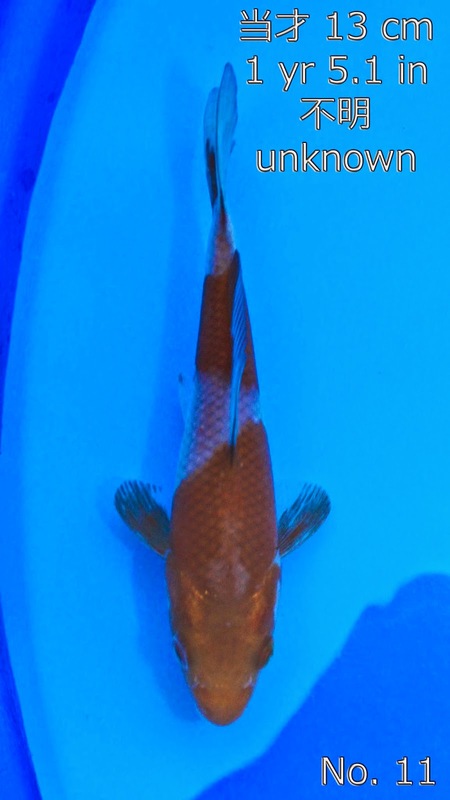 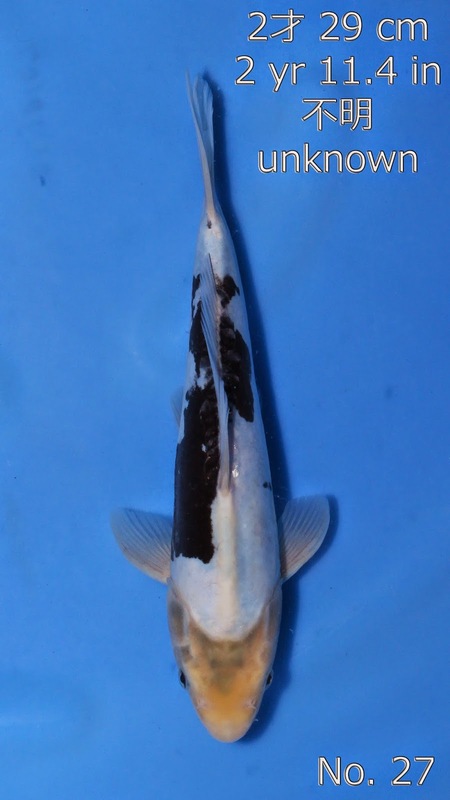 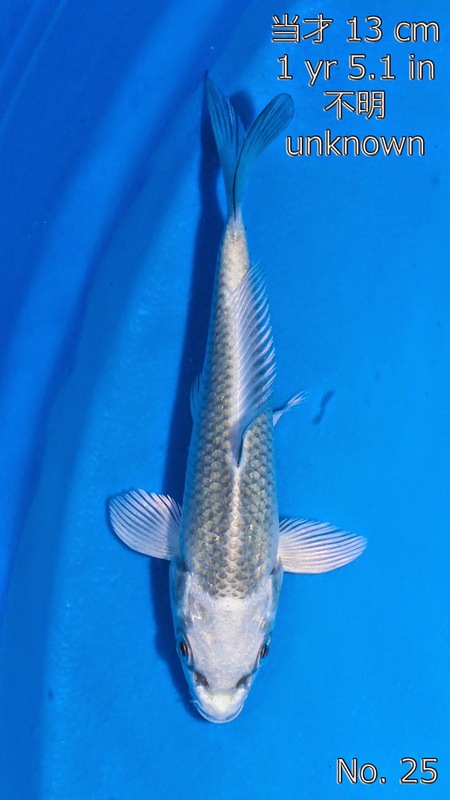 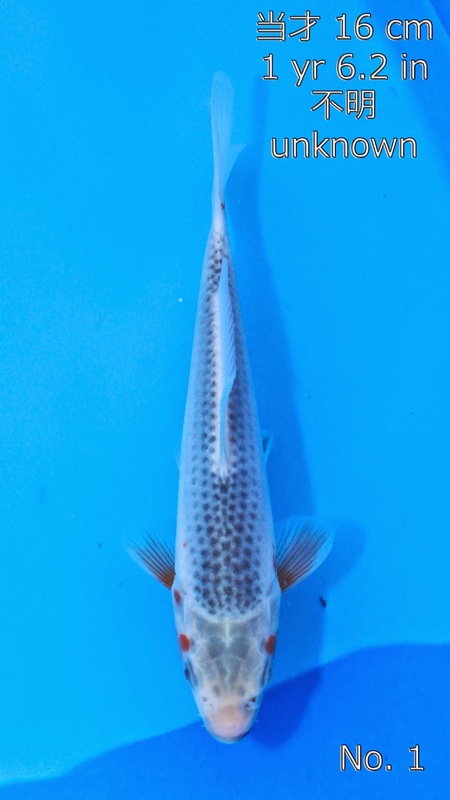 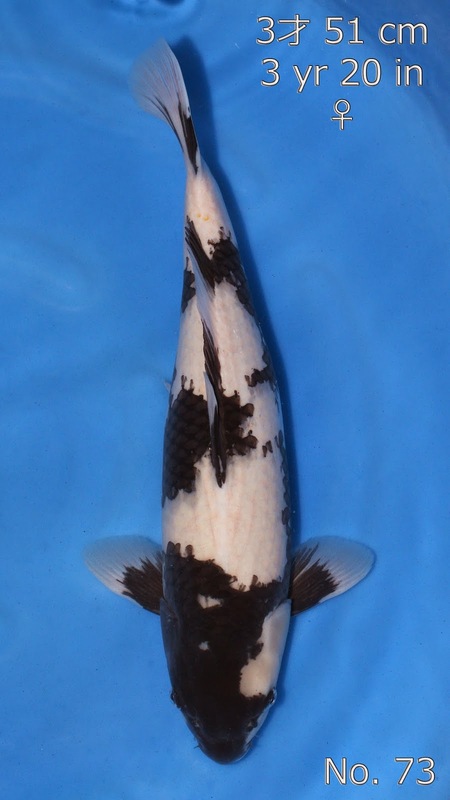 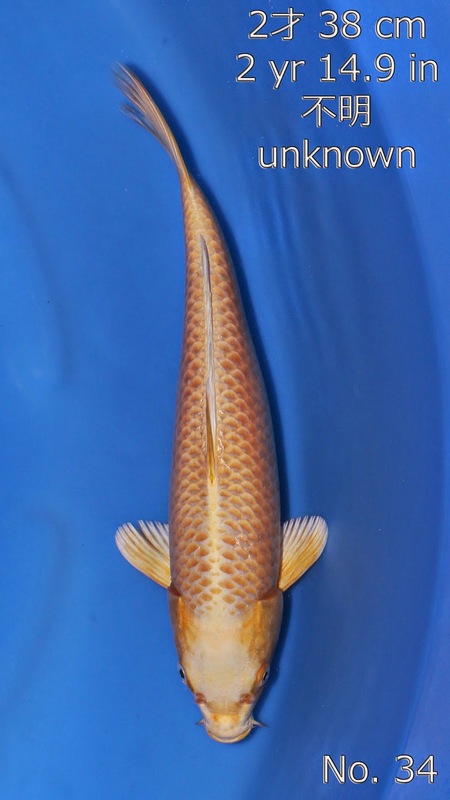 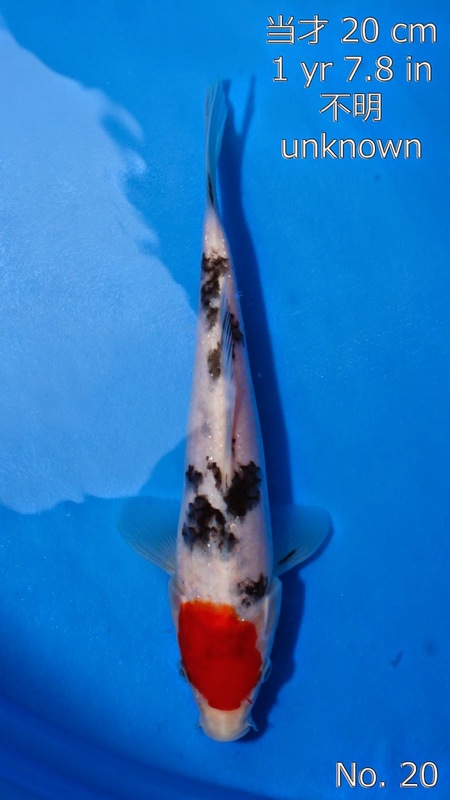 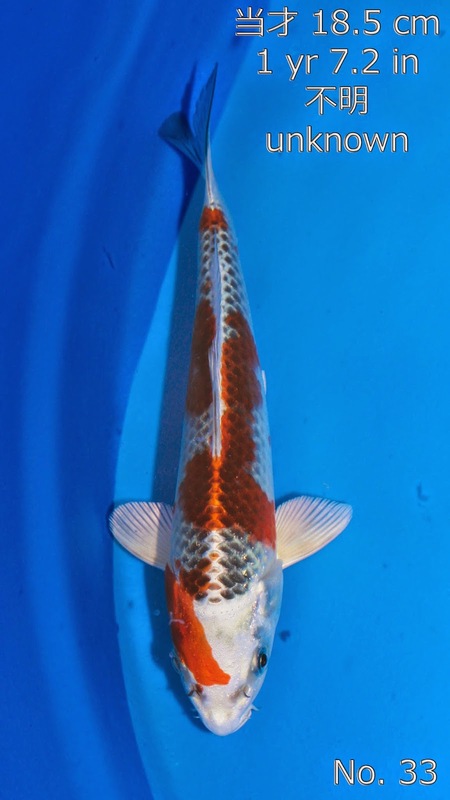 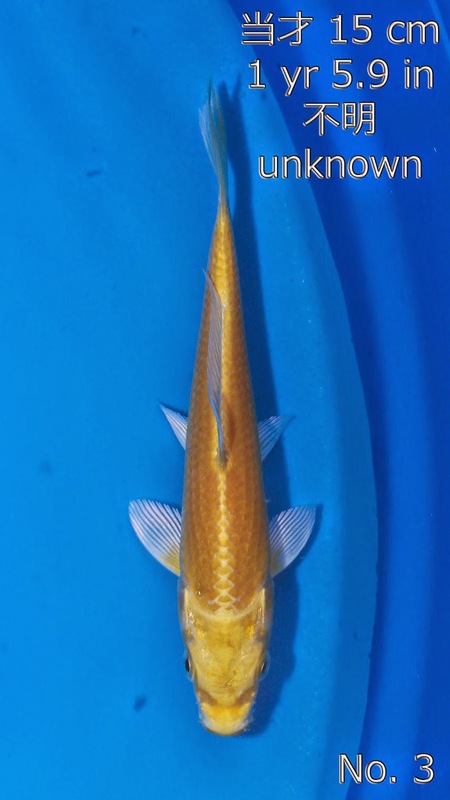 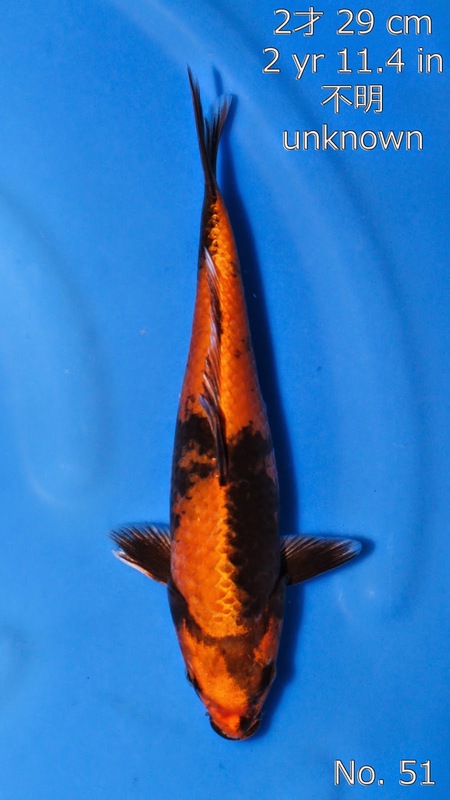 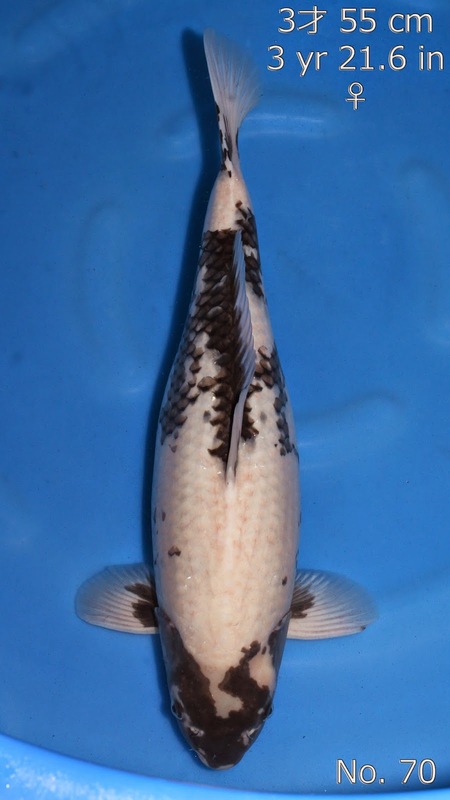 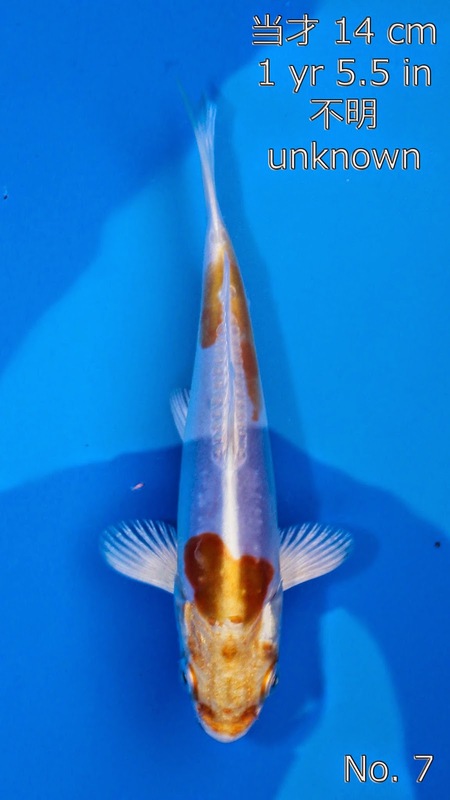 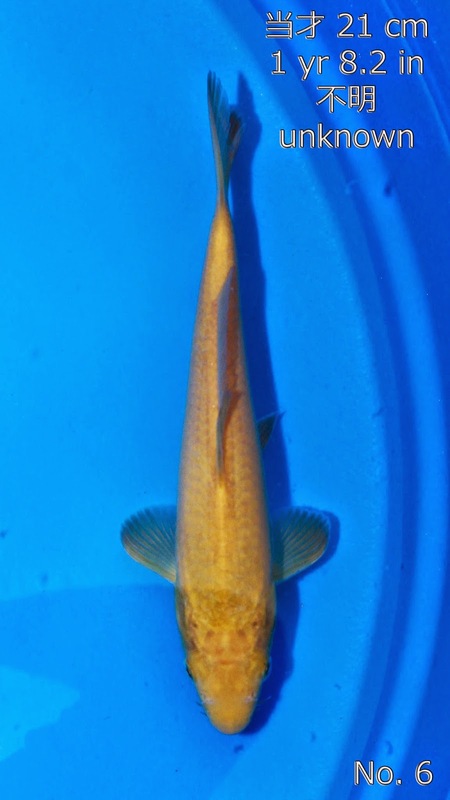 Yamabuki Ogon bred by Marusaka Koi Farm. 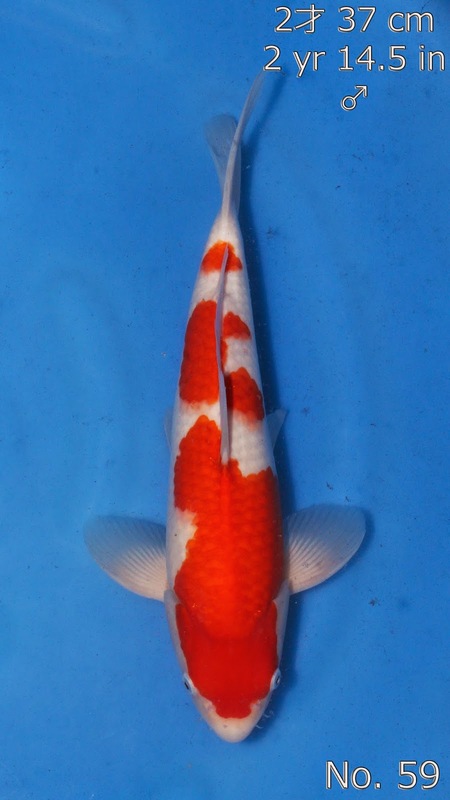 Showa bred by Marudo Koi Farm. 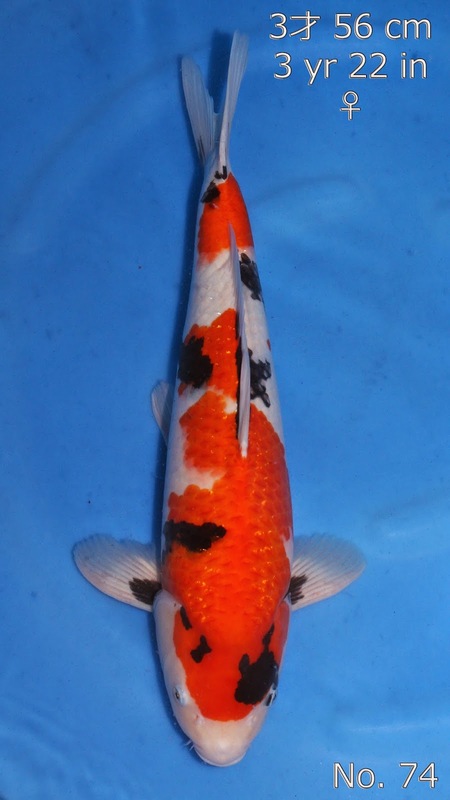 Tancho Kohaku bred by Marudo Koi Farm. 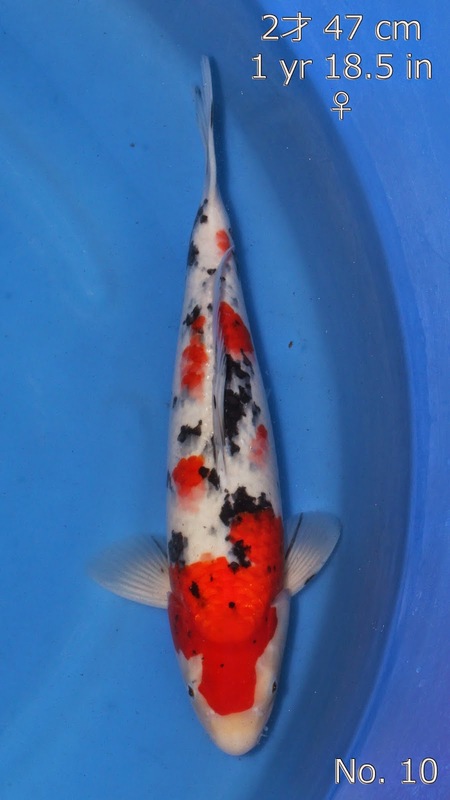 Gin Rin Goshiki bred by Kanno Koi Farm. 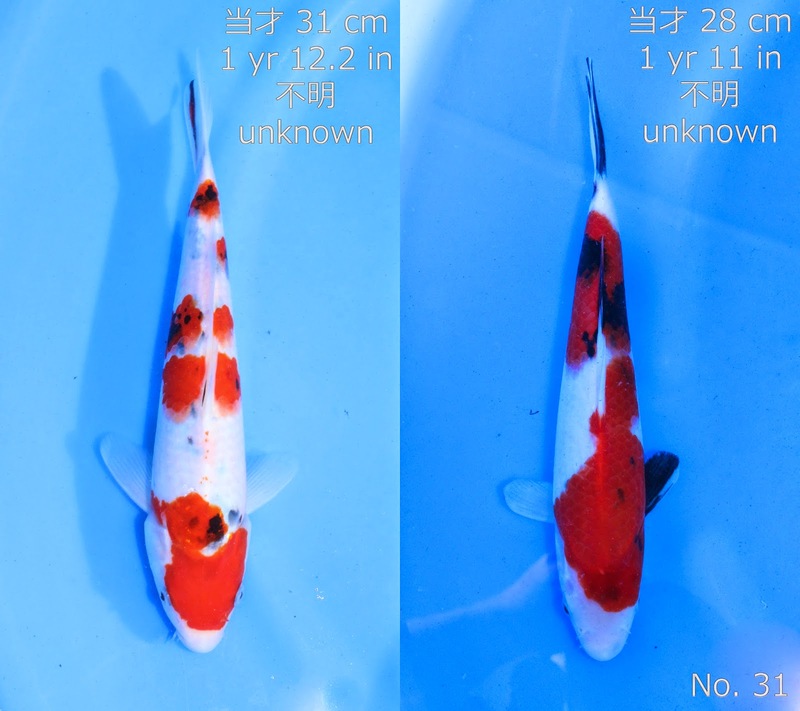 Showa bred by Beppu Fish Farm. 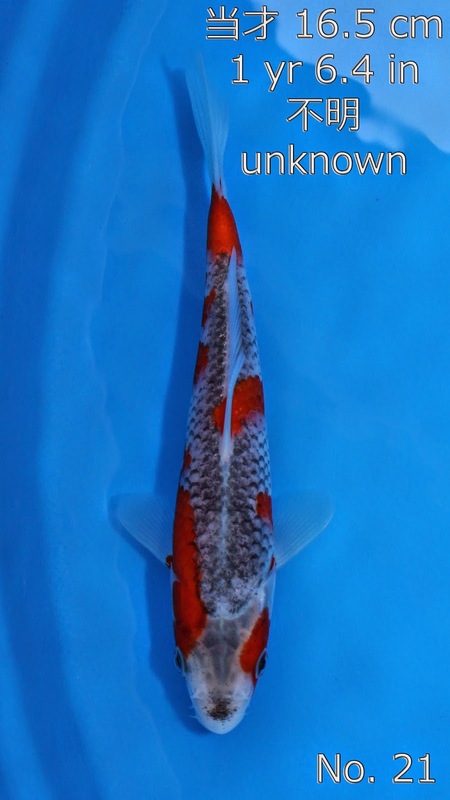 Beni Kikokuryu bred by Marusaka Koi Farm. 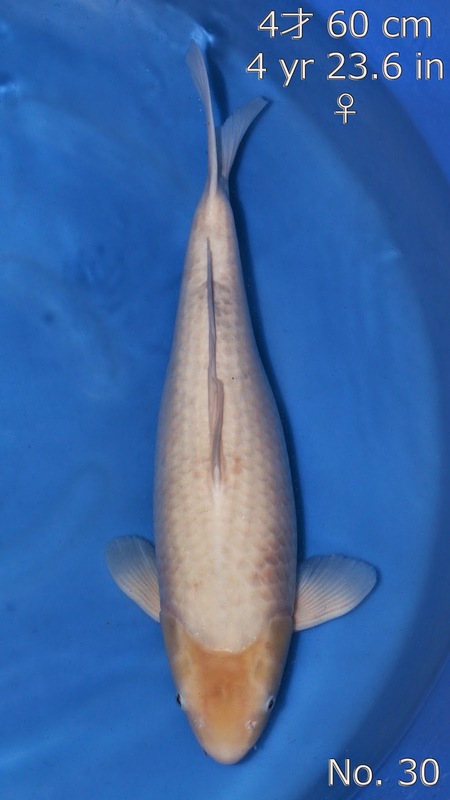 Sanke bred by Purdin Koi Farm. 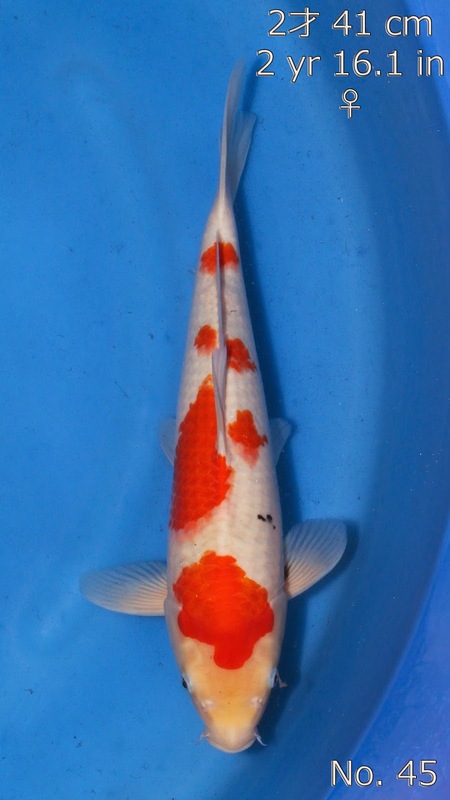 Showa bred by Marudo Koi Farm. 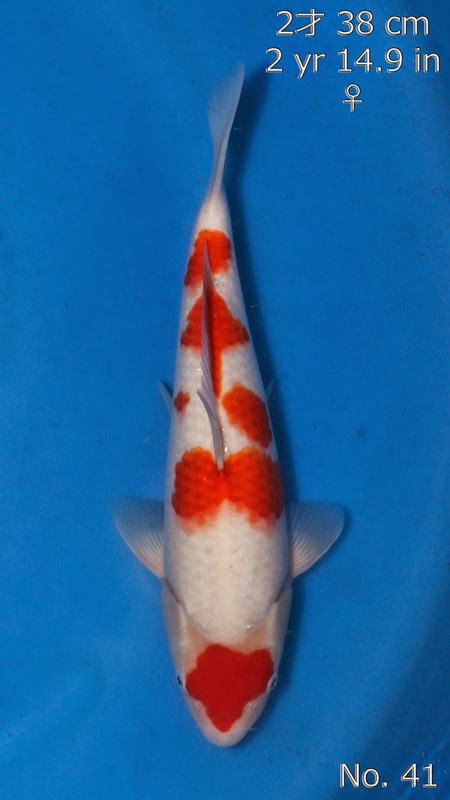 Kohaku bred by Taniguchi Koi Farm. 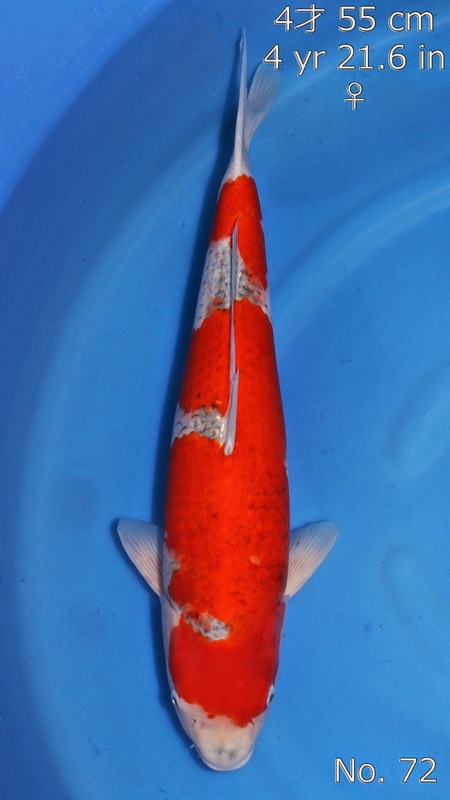 Sanke bred by Taniguchi Koi Farm. 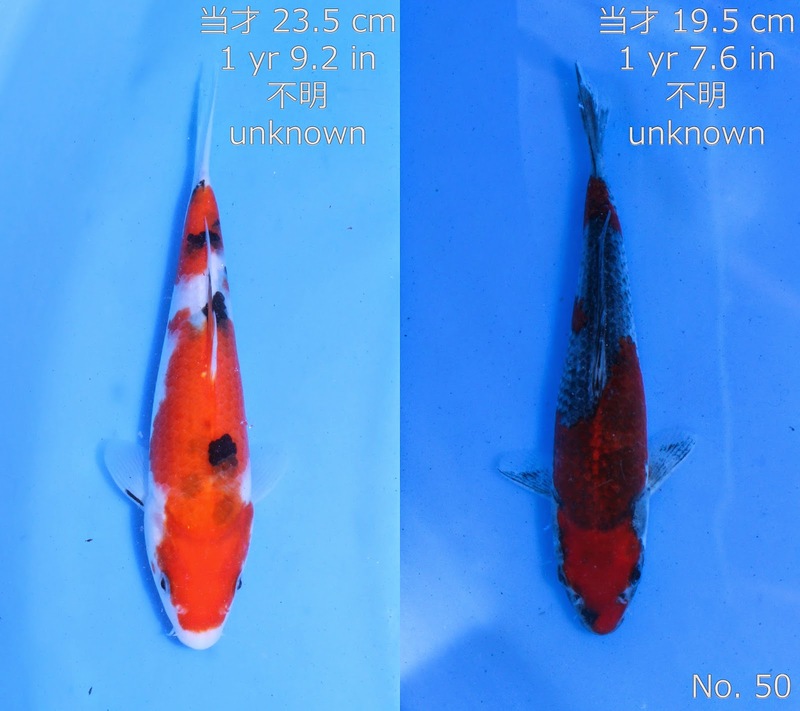 Tancho Sanke & Sanke bred by Marudo Koi Farm. 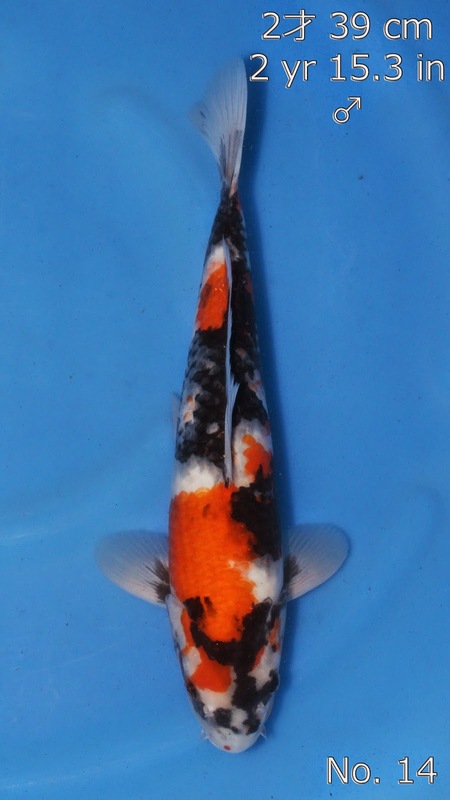 Showa bred by Beppu Fish Farm. 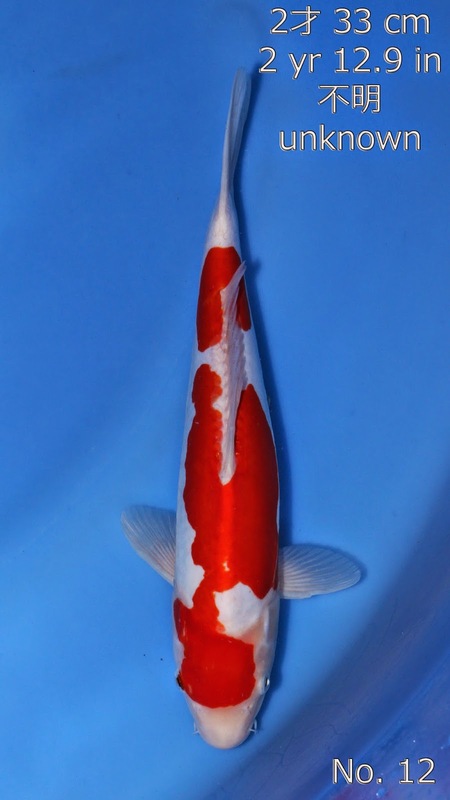 Sanke bred by Marudo Koi Farm. 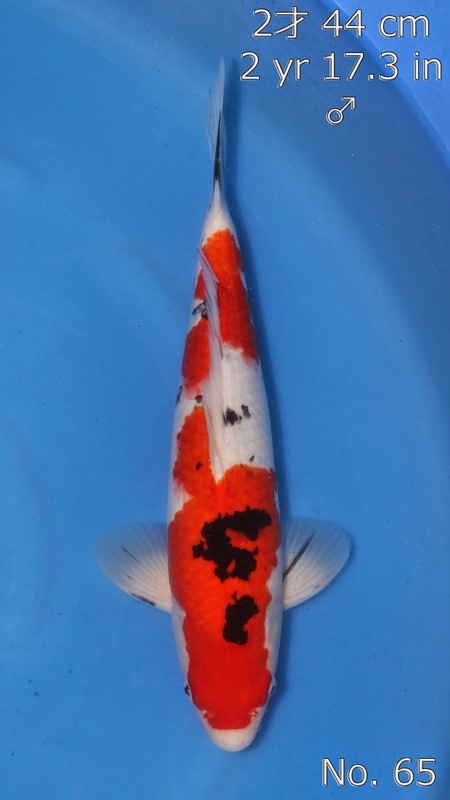 Goshiki bred by Kanno Koi Farm. 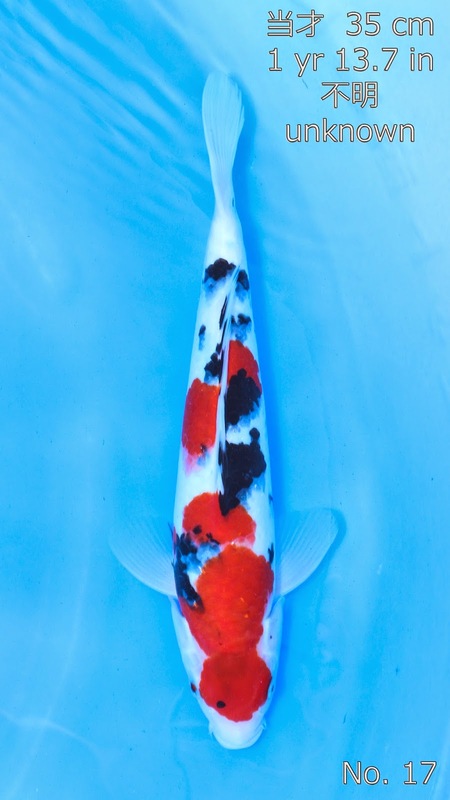 Kin Ki Utsuri bred by Marusaka Koi Farm. 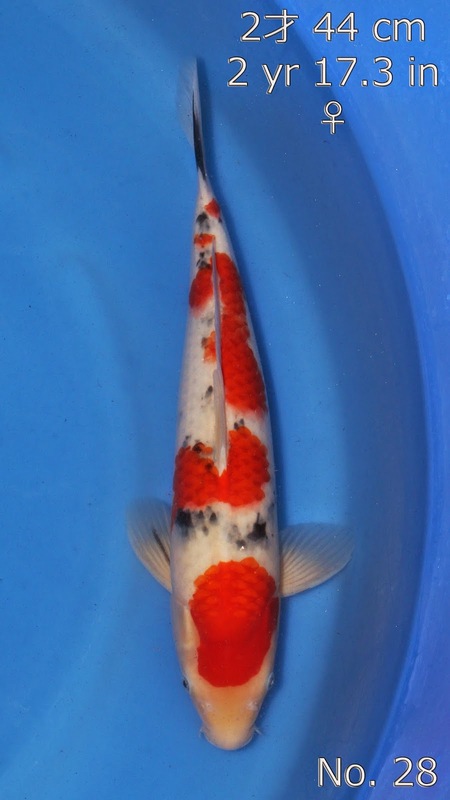 Goshiki bred by Kanno Koi Farm. 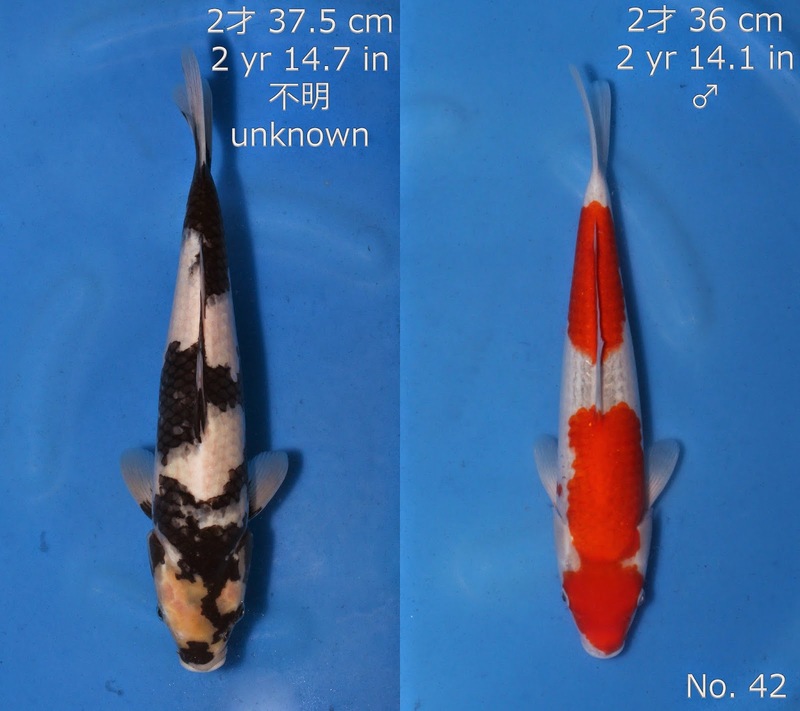 Showa bred by Beppu Fish Farm. 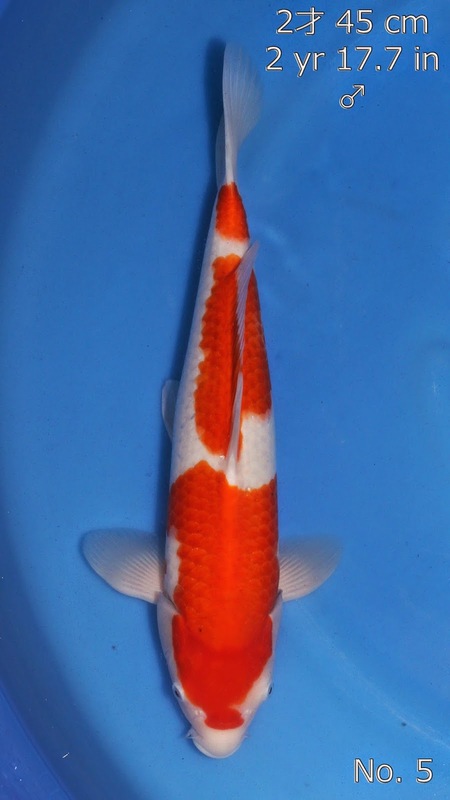 Goshiki bred by Kanno Koi Farm. 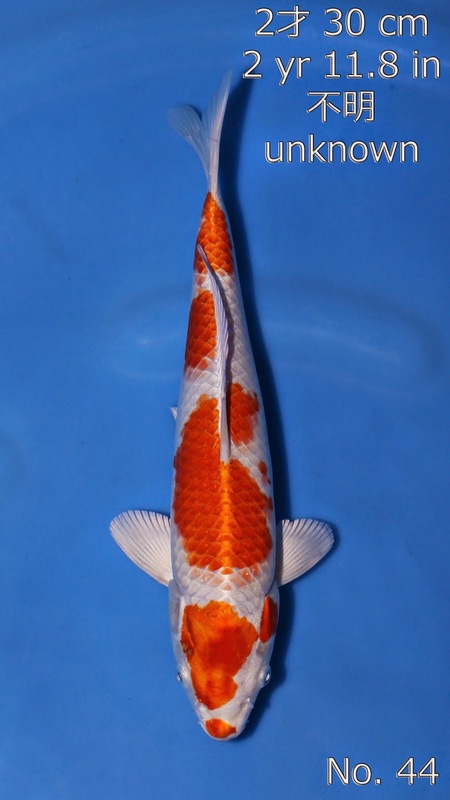 Showa bred by Omosako Koi Farm. 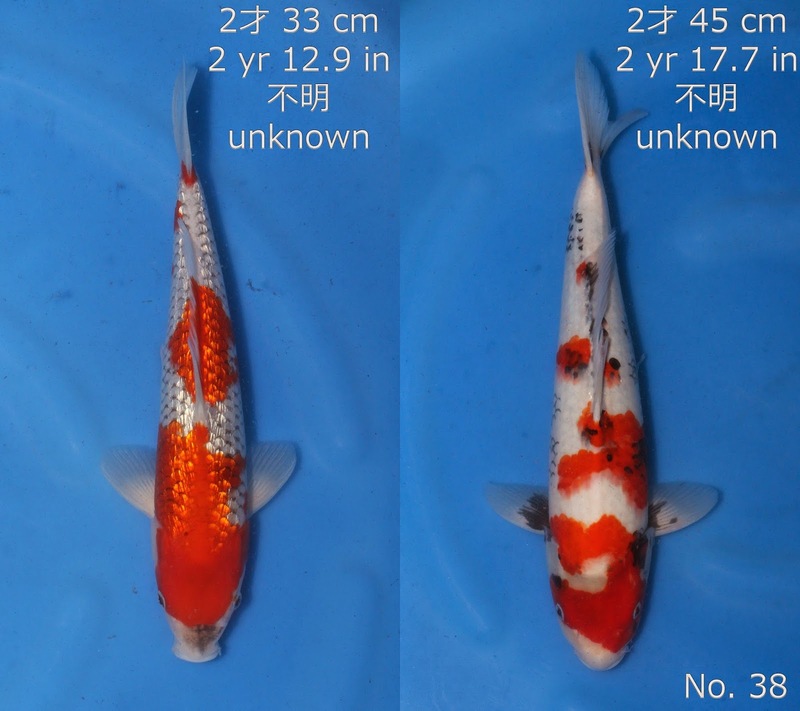 Showa bred by Purdin Koi Farm. 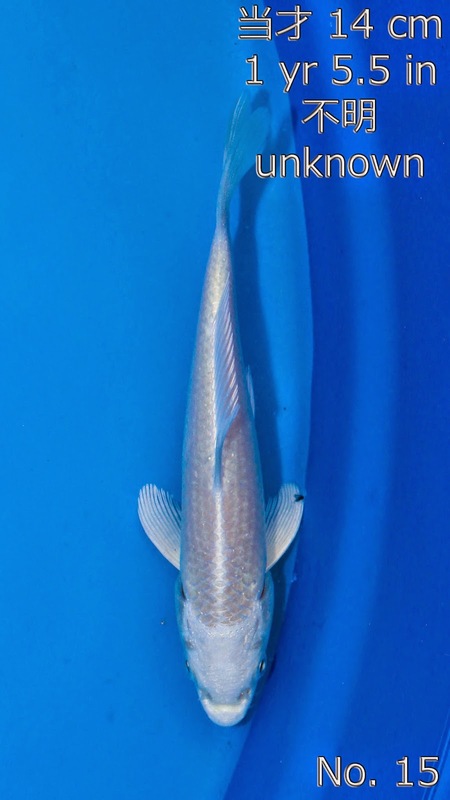 Sanke bred by Oya Fish Farm.